Are you interested in recording and producing music on your computer? If yes, then we welcome you to this article where we have best free music creation software, that will help you achieve the impossible at home. Before moving further, we recommend you to understand the concept of Virtual Studio Technology ( VST ) plugin. These plugins are helpful for your music making application. It is important to verify before moving ahead, that your PC have a powerful memory and good processor speed to support DAW (Digital Audio Workstation). The advisable configuration is a multi-core machine with minimum 2GB of RAM memory. Another critical need is of ASIO drivers that are required for your audio interface to enable the system to perform at least latency at real time. With this thought, we leave with the following list of free music software that are useful for creating music without any cost. 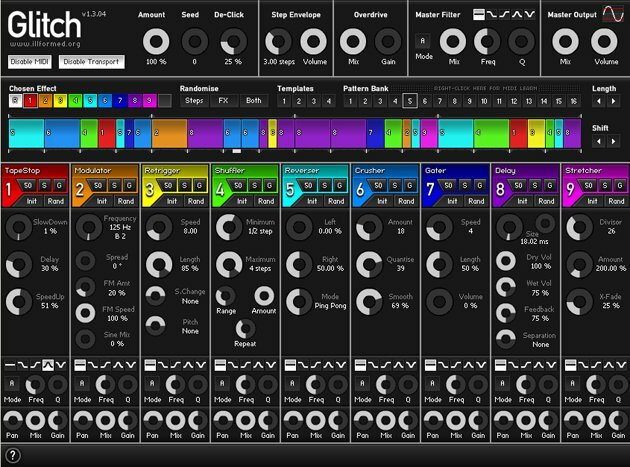 LMMS is easy-to-use MIDI sequencer/composer. It is a free, open source software. Linux MultiMedia Studio is quite confusing in appearance but as you start using it is very easy and user friendly to use. LMMS is well supported by its online community. It is a standalone application with a number of detailed full featured and versatile free music composer. For starter its hard to judge where to start from, so my suggestion to you is just start using the LMMS wiki. It supports .ogg and .wav sample files. The plugins supported are VST, VSTi and LADSPA. It is better to say LMMs is a “one stop music shop.” If we talk about the performance of this app, it is awesome, it is ultra stable and amazing freeware. 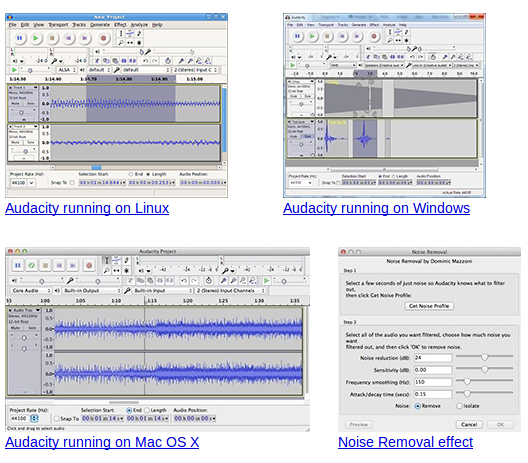 Audacity is well known and widely acceptable open source music application. It is compatible with windows, Mac and with Linus aw well. You can edit samples and songs, burn CDs, process audio files, and export a wide range of audio file formats, WAV, AIF or MP3. Ardour is a very professional looking multitrack audio recorder. There is an audio connection utility called Jack that is free for download. It is a Pro toll and owner’s manual is incomplete so you can’t download it. Ardour is supported by Linus from many years but now the Mac owners can also use it and record and mix the different tracks. 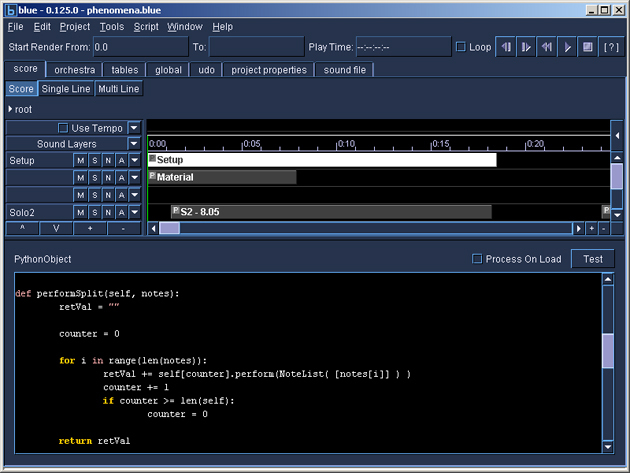 Aria Maestosa is an open-source midi sequencer and editor. You van compose, edit, and play midi files with user friendly interface. 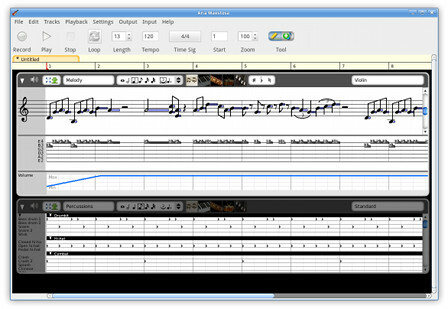 It is offering Keyboard, drum, score, and controller views. Supported on Windows, Linux, Unix, and Mac OS X. Available in many languages. If we want to sum up Temper in few words then it’s a fully functional MIDI composer / sequencer / recorder. After going through a long process of evolution, the new face of Temper is very clever and user friendly GUI. Also hosts VST’s, but only when an ASIO driver is installed on the machine. You can download and integrate the online manual. This also supported by a forum on the AngryRedPlanet website. With the help ofLinuxSampler play them or make your own sample-based instruments. You got a folder of Giga, Akai, and DLS samples. It is a ampler “engine”. Also supports the OS X, Windows and – natch – Linux. Csound has a root from 1970s. Csound is with no doubt is the most powerful and best-sounding computer music system around the world. It can perform lots of synthesis and processing. It has a text-based scoring language, and it’s not easy to learn. 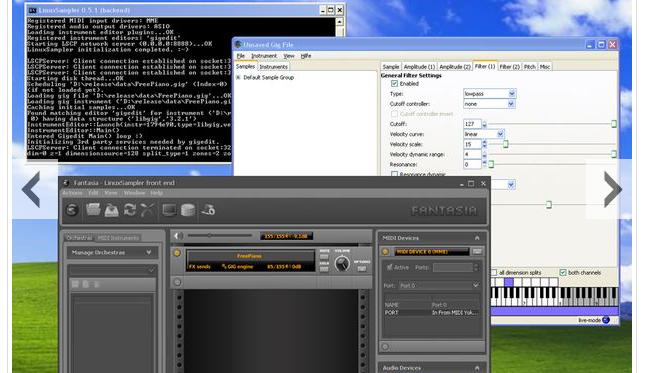 Csound is available in the modern era of windows and graphics namely Blue. Written by Steven Yi. Blue has a multitrack timeline with mute and solo buttons and many other features. Python is the general-purpose programming language for the Csound and Blue. 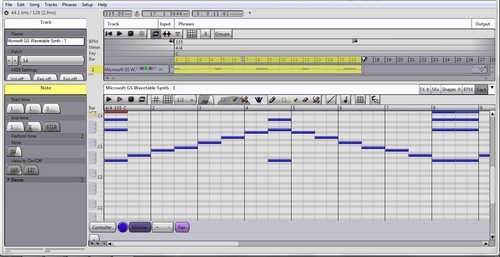 Buzztrax is used to create a clone of the Buzz music composer. Buzztrax is a free software. 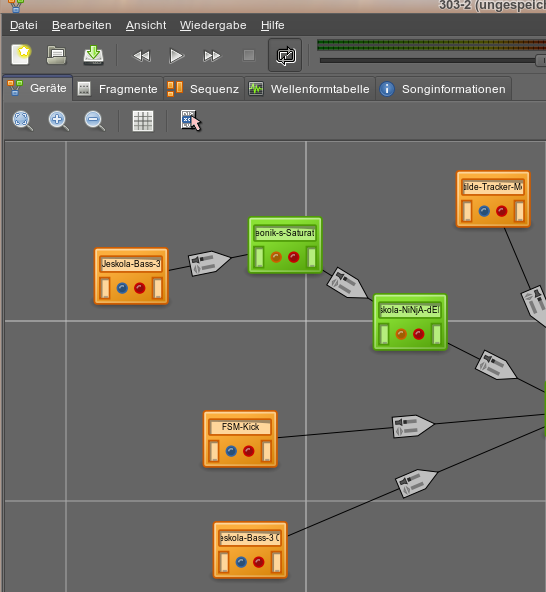 Songs are made by adding effects and virtual sound generators, connecting them, recording short phrases and arranging in the sequencer. Songs can be exported to common audio formats such as WAV, WAV, OGG, and many other. Themachines can be controlled by the patterns in the sequencer or realtime. 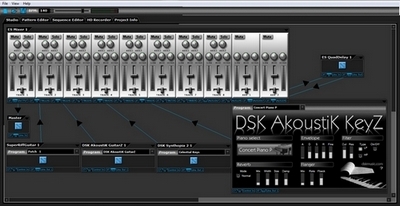 DarkWave Studio application has a combined VST Host, Recorder, and Sequencer. 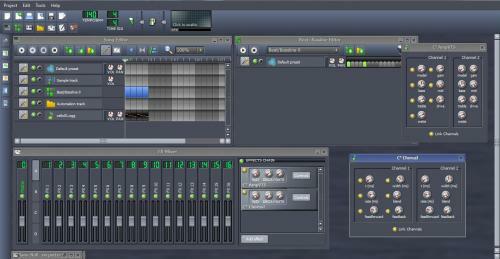 A very intelligent, minimalist GUI, has three workstations and a recording bay. The first workstation is to dock & configure the plugins, secondly a pattern editor and finally, the sequencer, This is foolproof, cleverly design and easy t use. The help file will help you out to start. Gleetchlab is designed for real time experimental manipulation of samples. In Gleetchlab you can not restoer or save your settings similar to an old-time analog modular synthesizer. Six long samples is supported at once, looped and managed by Cosmo, ThreshBass, Neural and Rythmicon.